Lists, lists, lists. They’re out there. The best of this, the best of that—everyone has an opinion. And nowhere is this truer than with music. Best of the year, best of the decade, best of the century. 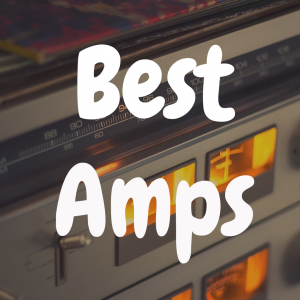 Whether you like rock, country, rap, folk, industrial metal, or all of the above, there’s a rundown somewhere for you. 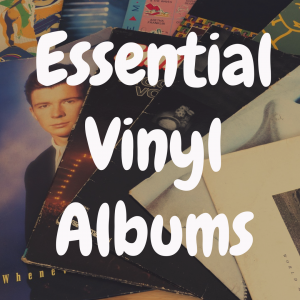 But when it comes to the essential vinyl albums, the list may look a little different. That’s because vinyl records are a package. An artifact. The experience of vinyl is more than just the music. In fact, packaging, art, and presentation sometimes matter just as much as the music. The Beatles, for example, didn’t just explore new sonic landscapes over the course of their career. With their infamous album art, packaging, and sequencing, they created a new language for how music can be expressed via vinyl. That language is what we’ll use in this list of the 30 best vinyl albums that should be on any record collector’s shelf. We’ll consider not only the quality of the music (fidelity, depth of sound, etc.) but the quality and quantity of visual art, album sequencing, and overall presentation and promotion that made each record legendary in its day and an essential classic in ours. 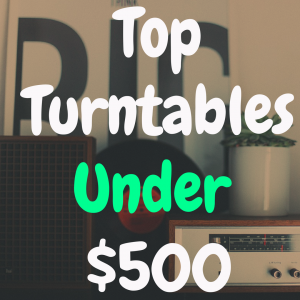 Before we get started on our vinyl countdown, I also wanted to mention that if you’re in the market for a new record player, check out our interactive table below, where you can compare some the the top turntables against one another to better help you decide which player most fits your needs. 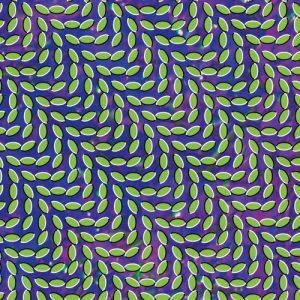 And now, let’s begin with number 30, which is an album by Animal Collective. A strange, otherworldly vibe percolates from our first album, which makes it the perfect introduction to vinyl listening. Recorded in 2009, MPP is psych pop/freak folk/et cetera outfit Animal Collective’s magnum opus, and most accessible work to date. From banger single “My Girls” to blissed foghorn “Bluish,” a demented underwater Beach Boy carnival feel permeates every corner of the record’s soundscape. The trippy tessellating album cover art serves as ample warning: tread carefully – you will get lost in this music. 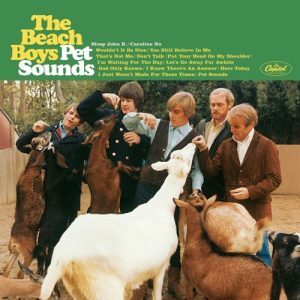 The forerunner of records like MPP, Brian Wilson’s magnum Beach Boys opus Pet Sounds is the gold standard of vinyl releases. 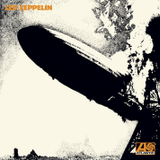 Released a year before The Beatles’ Sgt. Pepper, the album contains classics like “God Only Knows,” “Sloop John B,” and “Caroline No.” Here the classic Beach Boys harmonies are caught up in the swirl and clatter of “the wrecking crew,” Brian Wilson’s pop orchestra of musicians that designed a whole new template of sound that’s still being chased by indie and popular acts today. Brian Wilson would have you hear the album in the original mono format, but if you want an updated version, both stereo and mono vinyl versions are available. No introduction needed. Sgt. Pepper’s is considered by many to be the beginning of the album-as-art era. 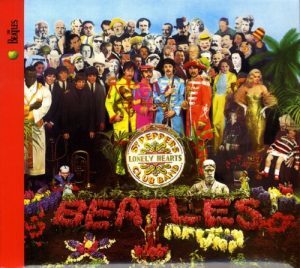 It was the first concept album – the first to tie music, track sequencing, and album art all into one cohesive theme: a fictional marching band of yesteryear, “played” by The Beatles, introducing the world to a wholly new, warped, psychedelic vision of popular music. 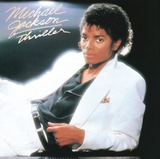 It was also the first album to contain a “hidden track,” a wigged out vocal sample that played on an endless loop in the vinyl record’s inner groove after the album finished playing. 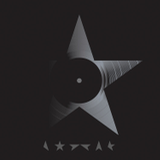 Recorded painstakingly in the studio, the track, much like the rest of the album, was specifically made to be heard on vinyl, never to be reproduced live. Indeed, The Beatles never played any songs from the album in a live setting. The record was meant to be a journey in and of itself – a journey taken and mimicked by many since, but rarely, if ever, repeated. 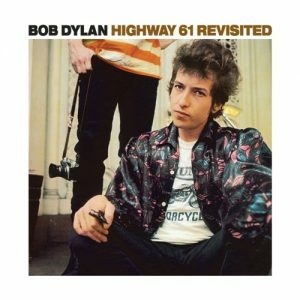 Dylan’s journey to the Nobel Prize for Literature began on Highway 61. Revisited of that early part of his career, as well as a look ahead further on down the road. That’s how you get “Like A Rolling Stone,” the first track on this album and one of Dylan’s best-loved songs. “Out on your own/a complete unknown” sounds like the rallying cry of every youth movement ever, which is why Dylan’s assessment of the culture of the 1960s still rings true in the 2010s. This is Dylan in widescreen for the first time, newly electric, calling out to all generations – the times have changed. Now we have to figure out how to change too. Ambient is a spacious, tonal, amorphous type of music invented by producer Brian Eno in the 1970s. 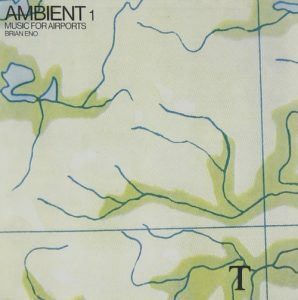 Music for Airports is the genre’s origin point. A soundscape designed to literally be played as background music in airports, this first collection of ambient excursions from Eno is the perfect turntable music for silent meditation, or doing the dishes, or putting on at dinner parties. You don’t listen to this record so much as let it seep into your consciousness. Hardly background music, this record gets under your skin in the best way, and is a must for any vinyl collection. Springsteen’s albums are all worth hearing in the vinyl format, if only for the widescreen splendor of the E Street Band. 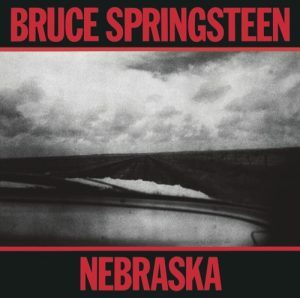 But for Nebraska, Springsteen went solo, and the intimate, acoustic atmosphere of the album makes it a standout in his catalogue. 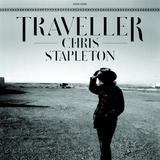 The bleak, gray album cover sets the scene for the story songs like “State Trooper” tell: a working class America, helpless and fading, crying out for recognition. In 1977, NASA asked cosmologist Carl Sagan to head up an effort to create a cosmic compendium of life on earth that would be stored aboard the Voyager 1 spacecraft. The resulting “Golden Record” (which is actually made of gold) is now attached to the Voyager 1 as it traverses deep space, with many of the sights, sounds, languages, and tactile references familiar to all people on earth, addressed “to the makers of music – all worlds, all times,” in hopes that they can decode and learn how to play it. The record has never been made available to the public until recently. 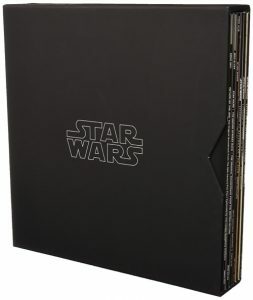 An incredibly comprehensive and diverse record of human life on earth, this piece of history will hopefully soon be a prize in every collector’s library. 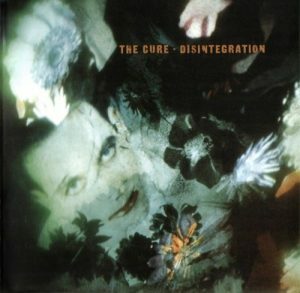 Recorded in 1989, Disintegration is The Cure’s towering, majestic farewell to the synth opuses of the ‘80s. The liner notes contain an instruction: “this music is mixed to be played loud, so turn it up.” Enough said. 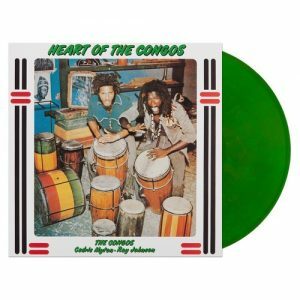 Reggae legend Lee “Scratch” Perry produced this debut album by The Congos in 1977. An often overlooked gem, it’s considered by many to be one of the best reggae albums ever made, not only for its songs, but for the wet haze of reverb in which Perry drenched them. Though it’s often difficult to find, even non-reggae lovers should seek this one out. It’s a deeper and more compelling paean to “Ja” than even Bob Marley ever produced. 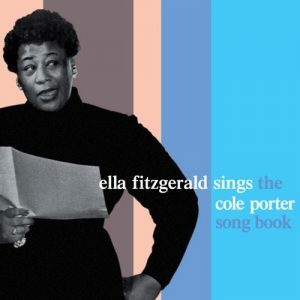 “My, what marvelous diction that girl has,” said Cole Porter, after hearing his songs brought to life by Ella Fitzgerald in her first recording for the Verve label. Fans tune into her music for one thing and one thing alone: that voice. The smoky vibrato that Ella painted her songs with weaves silkily through Porter classics like “Too Darn Hot” and “I Get a Kick Out of You.” You should only ever hear Ella on vinyl. That’s where “that voice” belongs. 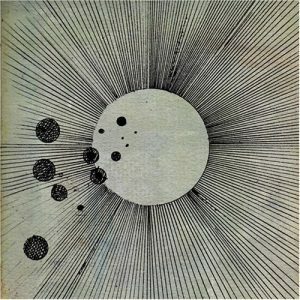 LA-based producer Flying Lotus has kept up a steady diet of work over the past few years, but none stand out in the way his breakthrough Cosmogramma did in 2010. A blippy, warped jazz update in the era of electronic music, it’s no wonder Flylo is the grand-nephew of Alice and John Coltrane. This is jazz music for the video game generation. 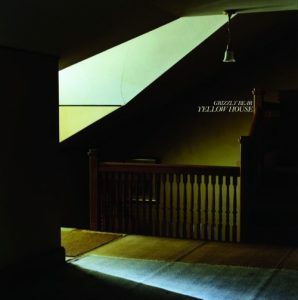 Yellow House, released in 2006, was Grizzly Bear’s first proper record, and one of the first in a line of modern indie rock records to merit the vinyl treatment (that is, you can buy it for more than just the download code). Warm, experimental, intimate and expansive, this is folk psychedelia for a new generation. 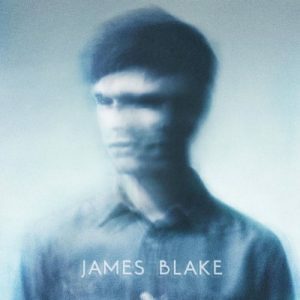 There are times on electronic producer’s James Blake’s self-titled debut that you might be excused for thinking your turntable is skipping. It isn’t, but Blake is – skipping through a beautiful array of blips, fits and starts, and vocal manipulations, discovering a new kind of spatial music, where silence matters as much as sound. Lay back and let this record envelope you. Ever in the shadow of her brother and her family name, Janet Jackson emerged in the mid ‘80s as a prime agent of ‘80s rhythm. 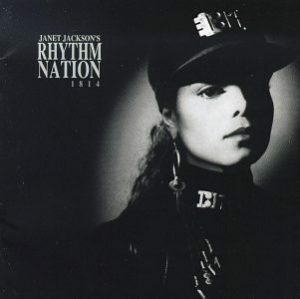 ‘89’s Rhythm Nation was a definitive personal statement, with songs like “Rhythm Nation” and “Escapade” pulsing out signature rhythms of the era. Long and full of hits and interesting production detail, Nation is a statement of female purpose in a time when feminism was finally coming to the fore in public life as well as music. Before Dylan, there was Baez. 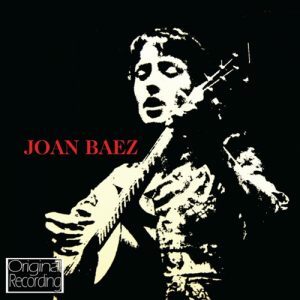 While known by many for her association with Bob Dylan in the early ‘60s, and for her civil rights activism in the same period, Baez was actually a forerunner of the modern folk movement. Released in 1959, years before Bob Dylan rose to prominence, her self-titled debut is a compendium of traditional folk songs raised up from the dead and given new life, her piercing, unmistakable voice willing the folk tradition into the modern era. This record sounds best on old, well-worn vinyl, Baez’s throaty vibrato sounding as if its crackling up from the mists of time. There are too many excellent collections of classical music on vinyl to put into a list. 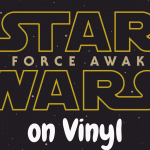 John Williams’ Star Wars music may be soundtracked for a film, but it’s an homage to the greats of early 20th century classical music, and on vinyl, it soars like an X-wing through the expanse of space. Symphony has never sounded so widescreen. West’s transition from standard hip-hop to something more avant-garde. This album, with its taiko drumming and glittering synthesizers, pulses from your speakers with stunning clarity. West is an accomplished rapper, but he’s a production genius first, and this record puts that quality on full display. 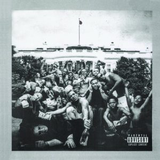 Lamar is the raspiest yet clearest voice in rap, and Butterfly is his masterpiece. Few have better documented the struggle of modern black men under the yoke of institutional oppression with so much artistic aplomb, and with so much personal candor. 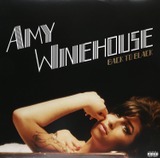 This record is a historical document, a must for people of any color. Towering, swaggering, deep, and broad. 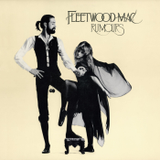 Rock and roll at its peak, and the ‘70s icons at their best. Turn it up. Another historical document. Chaos, war, and disruption were the tone of the late ‘60s. Oh, and love. 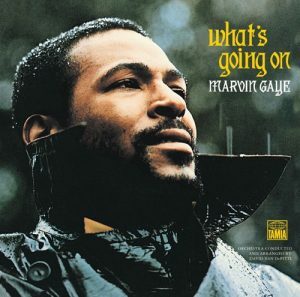 Marvin Gaye covered all of it, a black man traditionally known for his traditional songs, asking troubling questions of a troubled world, with all the trademark tenderness and verve that made him a standout in the Motown crowd. An essential investment for any collector. What The Beatles were to pop and rock and roll, Miles was to jazz. 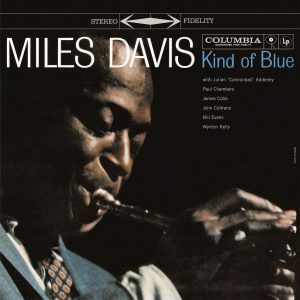 His star-studded Kind of Blue is often touted as one of the most revolutionary, and best-sounding, jazz records ever made. There aren’t too many instances in recorded history when one hears Miles, Coltrane, and Bill Evans in the same room, madly creating. And that’s the wonderful thing about jazz records – you can hear the room. Here, as with Sgt. Pepper’s and Pet Sounds, you’re a fly on the wall in a room where history was made. The moment where pop music became theater. Michael Jackson at the peak of his powers. There may never be another collection of hits like this, and there will certainly never be a voice and presence like Michael’s. Paul McCartney, Vincent Price, and Eddie van Halen all guest. 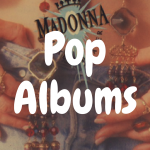 This album is the nexus of pop. Find it. 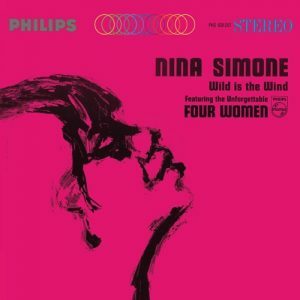 Nina Simone was a chameleon of styles, an unsettled, untiring voice that refused to break down at the sight of barriers. Wild is the Wind is her most signature collection, with songs like the title track and “Lilac Wine” casting a spell that has lasted to this day. Nina’s songs are her voice – deep, wild, and free. “I’ll tell you what freedom is to me” she once told an interviewer. “No fear.” Our vinyl shelves are all the better for it. When rap entered the mainstream, Outkast cut their own channel. Eventually, even that stream cut in two. 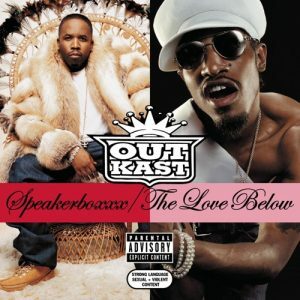 Big Boi’s Speakerboxxx and Andre 3000’s The Love Below were supposed to be solo albums, but instead formed one of the more audacious double albums in recent memory. At peak creativity, but also starting to grow apart, the pair put on their best White Album, crafting hits like “Hey Ya!” while pushing themselves and each other into stranger and stranger creative realms. 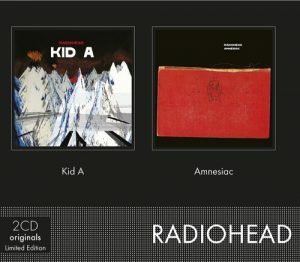 A prospective double album that became two iconic releases, Kid A and Amnesiac are Radiohead’s masterpieces. Taken from the same sessions that blended rock, electronics, ambient, and jazz, these two albums find a rock band discovering a new era of sound – one which we still live in today. Not since The Beatles had exploratory music been so consequential and so essential to a record collection. Nigel Godrich’s production suspends instruments in space, claustrophobic and far-reaching all at once. Artist Stanley Donwood’s album art extends the experience, showing off strange futurescapes of gloom and introspection. Radiohead is the package deal – visual art, sterling production, and mood music of the highest order – the angst of our time caught forever in the grooves. 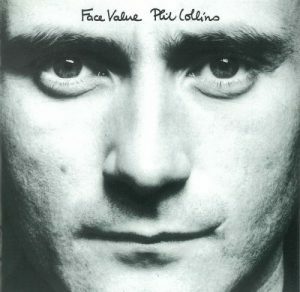 Atmosphere, angst, and those pounding drums – Phil Collins introduced the ‘80s with this massive 1981 solo effort. “In the Air Tonight” launched the signature sounds that would be copied again and again by countless artists over the next decade. 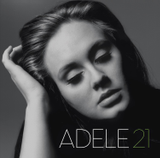 The album was rereleased this past year, this time with Collins’ aged face on the cover. Time passes, but influence remains, and Collins’ ‘80s face still finds value to this day. Come for the style, stay for the blistering guitar solos. We lost a legend in 2016. 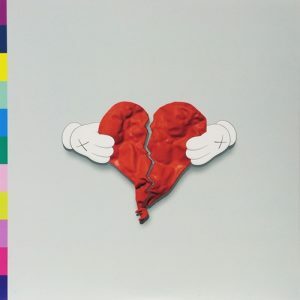 Remember him at his most vital and electric, with his best album. Brian Eno was at the controls for David Byrne and co’s most definitive statement. 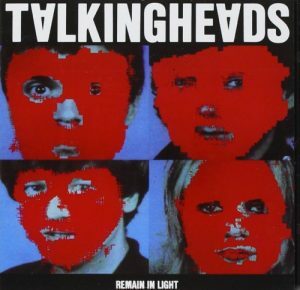 Remain in Light is a pop quilt of rhythm and oddity. “How did I get here?” shouts Byrne on “Once in a Lifetime,” here being a rare space of creative release in a sea of intentional weirdness. This record still sounds like it was made yesterday. One of the most well-produced efforts ever. 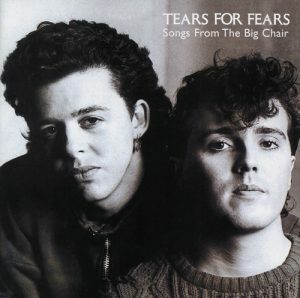 Another record that still sounds fresh, Songs from the Big Chair is Tears for Fears’ definitive ‘80s paean. 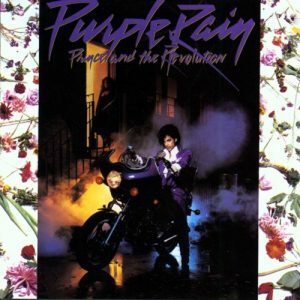 This record is the ‘80s. Electronics, guitars, and pounding drums coalesce in clarity here. Clean, upfront, and direct, songs like “Everybody Wants to Rule the World” and “Shout,” along with a back side of surprisingly effective experimental dalliances, provide bombast and moodiness in equal measure. Turn up the hi-fi and tag along for the ride. 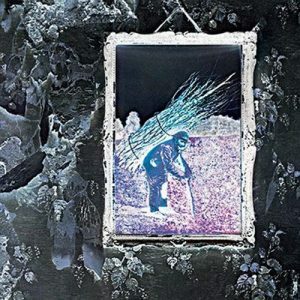 Released a couple of years ago, Lost in the Dream is a rock record made in an era when vinyl has made a comeback, and the rock record as artistic document is more scrutinized than ever. This album flows as one, awash in a gauze of dreamy guitar and synth figures. 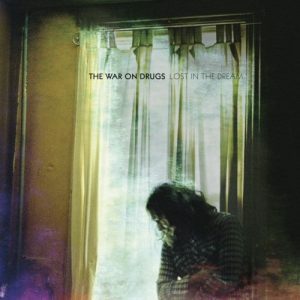 The War on Drugs are asking you to get lost not only in individual tracks, but also in an experience. 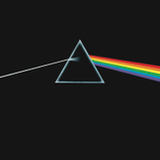 Find the focal point of your speakers, lay down, and let this record flow over you. Decades of music production have led to this point. 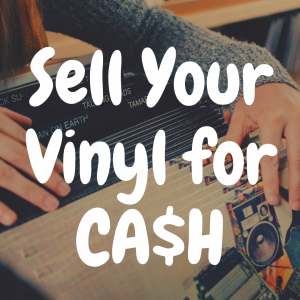 Pick up a vinyl record and take advantage of it. If you enjoyed reading this article, please “like” us on Facebook too! 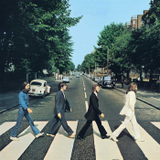 What are the Best Beatles Vinyl Records to Own? 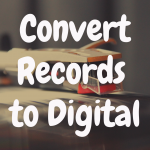 What are the Best Live Recording Vinyl Records? 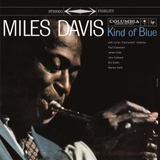 What Are the Best Jazz Vinyl Records? What Are My Record Player to Computer Options?